How do you achieve a balance between design and nature when the yard is bare and the walkway nondescript? Start with a clear (but organic) Arts & Crafts landscape design, then practice a little benign neglect. 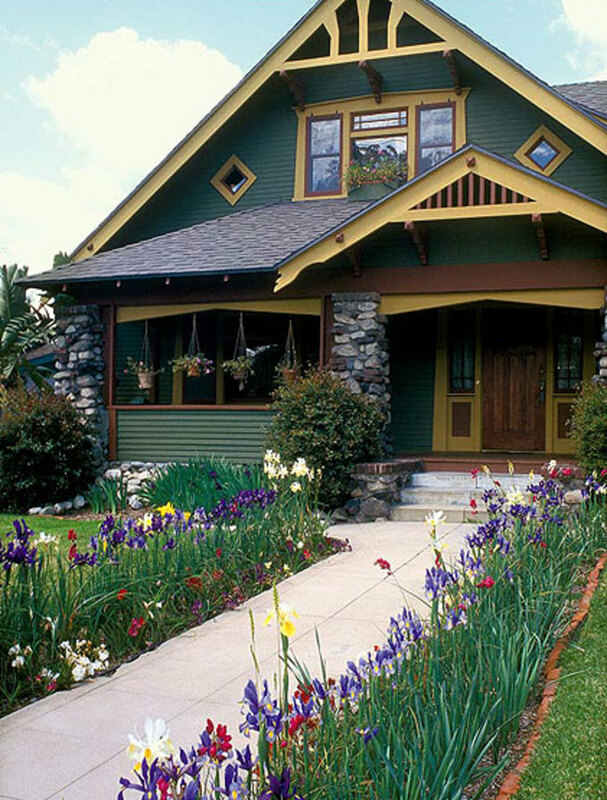 Colorful irises soften the hard edges of a concrete walkway and pick up the colors of the house siding and trim. Part of the irresistible charm of an Arts & Crafts house is how it draws us in, seducing us with lush plantings that gently lap at the edges of the house, with an inviting front walk that wends its way to the door, skirting natural features in the landscape. The path to your house should look as if it grew there. 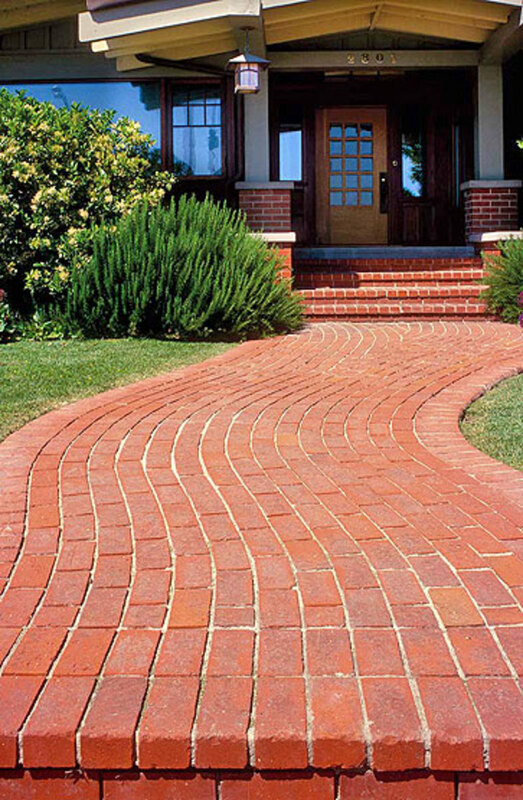 Even a brick or concrete walk can blend in if it gives way to the contours of the land, whether it follows a gentle course through smooth turf or climbs a rocky, picturesque hillside. 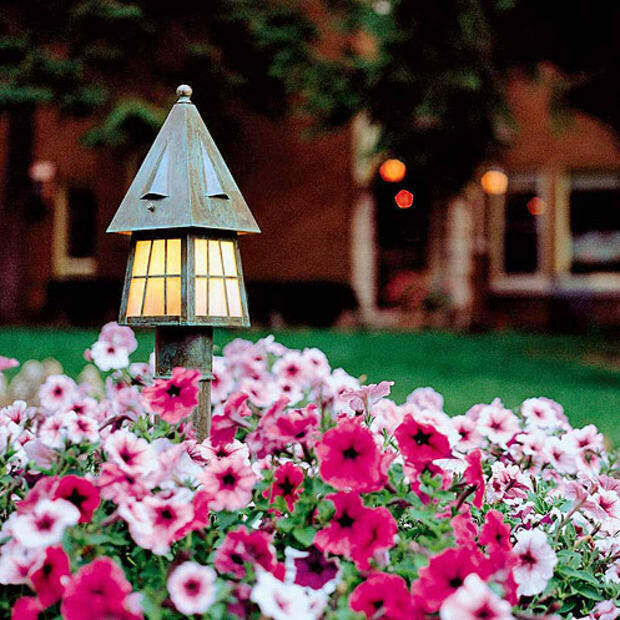 To enhance the connection to the earth in your Arts & Crafts landscape design, choose walkway materials that are in sync with what’s already on the ground—as examples, an existing stone wall or, more typically, the roofing and siding on the house. 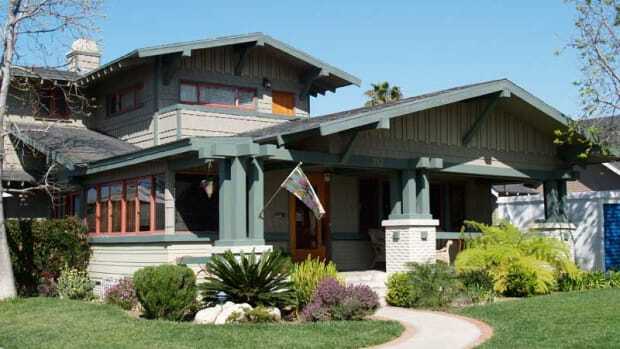 The earthy textures of stone, gravel, and brick have a natural affinity with wood shingles and siding, while flagstone can pick up the colors in a slate or tile roof. For instant charm, lay stepping stones at grade level; the grass will fill in around them in just a few weeks. 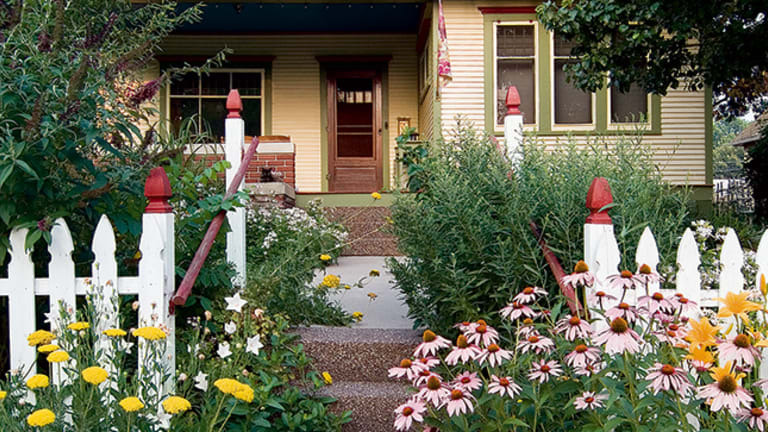 A profusion of flowers including day lilies and purple coneflower threaten to overwhelm a path to a simple cottage, increasing its charm. Materials that look old or that actually are old reinforce the organic connection: walls made of recycled stone, a walkway of salvaged local brick. 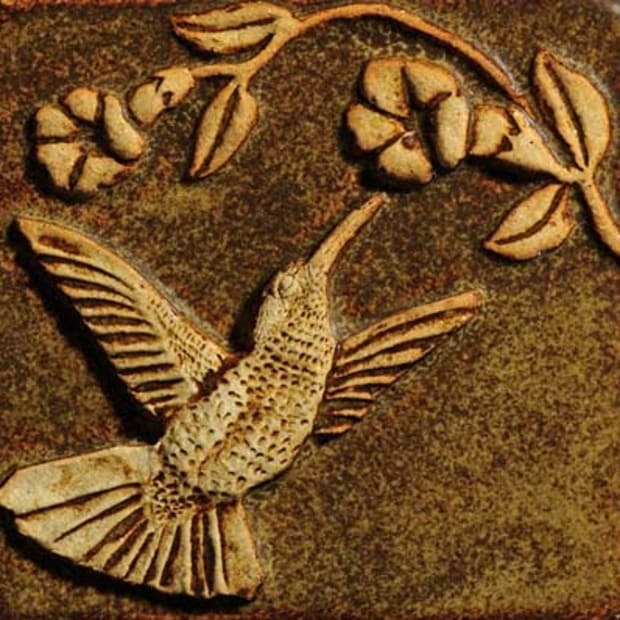 Even concrete (a historically appropriate material for many Arts & Crafts homes) can achieve a vintage look with techniques that include patterning the concrete with cracks to make it resemble flagstone. 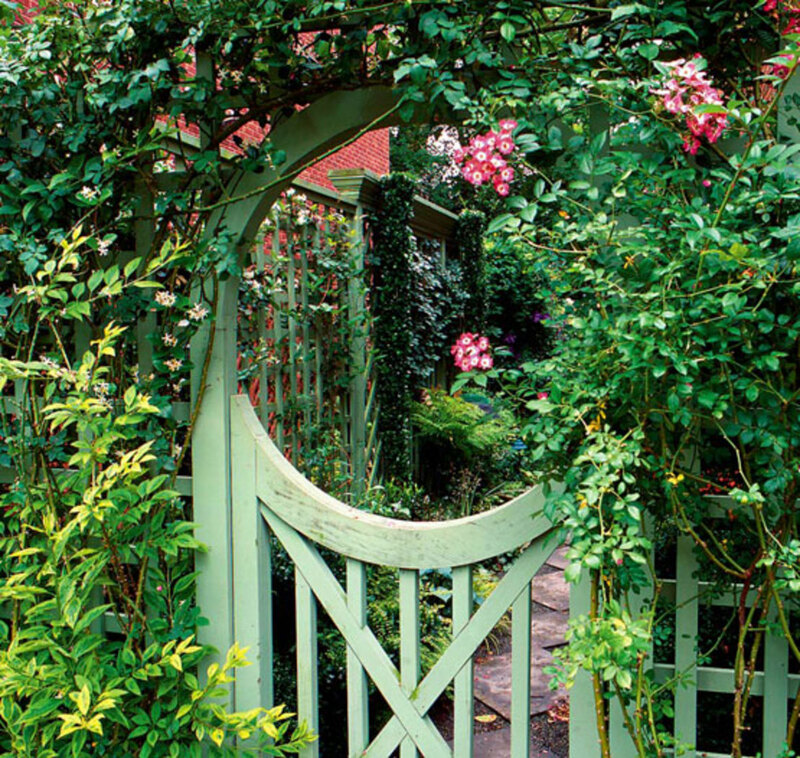 An enclosed garden welcomes visitors with a rounded doorway, or moon gate, hung with roses. Within a clear design, think natural, neglected, barely under control: those are the characteristics of an Arts & Crafts garden. 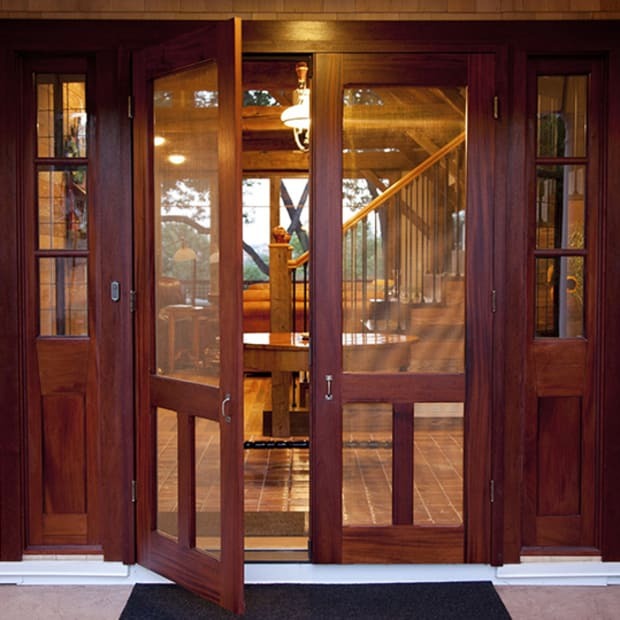 The landscape that defines the approach to your home should subtly work its way into the visual texture of the house. This can happen on many levels, from sophisticated creations like a fern-filled swale in a perennially wet spot to the strategic placement of an ornamental tree that subtly connects to the house (e.g., a Japanese maple mimicking the low spreading roofline of the Bungalow behind it). An undulating brick walk and massed plantings of contrasting textures add to the curb appeal of this Japanese-influenced Bungalow. 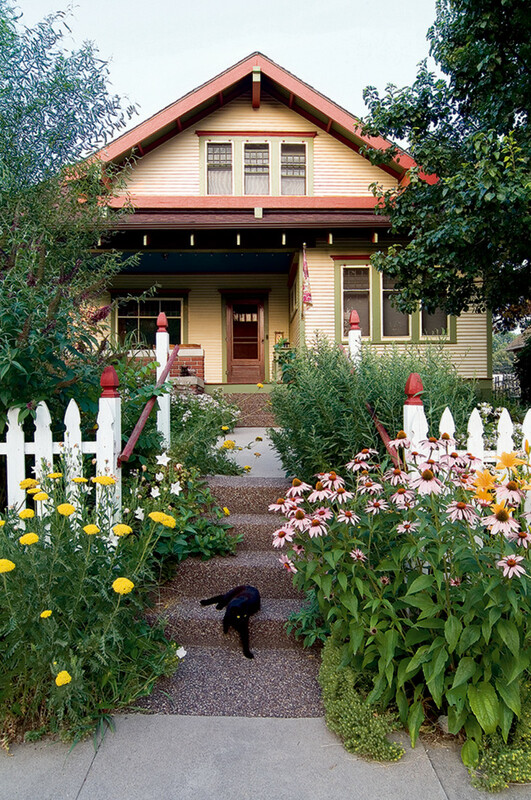 To help the Arts & Crafts landscape snuggle up to the house, lay in plantings in tiers that will fill out, commingle, and flirt with their neighbors. Skirt the house with a variety of taller shrubs chosen for texture and year-round greenery or color (such as shrubs with glossy or variegated leaves that flower in one season and bear fruit in the next). Your choices need not be of uniform size or height; the more varied, the merrier. Fill in the foreground with lower shrubs and plants that offer variety of texture, heights and massing, tonal contrasts (different shades of green), or bursts of color as the year progresses. Rather than submit to the dictates of the local nursery, seek out plants that were fashionable a century ago: rambler roses, lilac, hollyhock, day lilies and irises, violets, pansies, peonies, bleeding heart, and others have all stood the test of time. 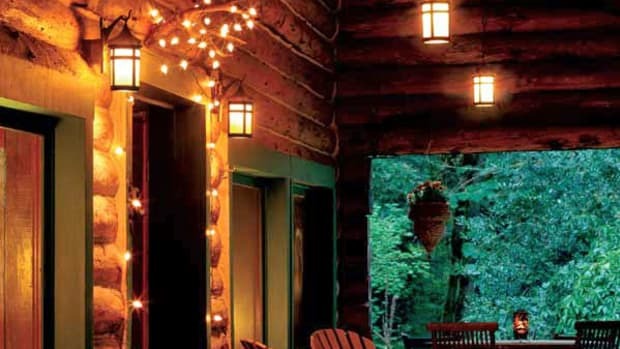 Allow plants to create a sense of allure and surprise. “There is real charm in blurring the edges of a garden,” Elsa Rehmann wrote in House Beautiful in 1924. “It is these things that make a garden appear as if it had always been there.” One of the visual markers that made me fall in love with a certain cottage in my own past was a cluster of white jasmine spreading over a neighboring wall of climbing hydrangea, showering it with starry blossoms. I moved in right away! 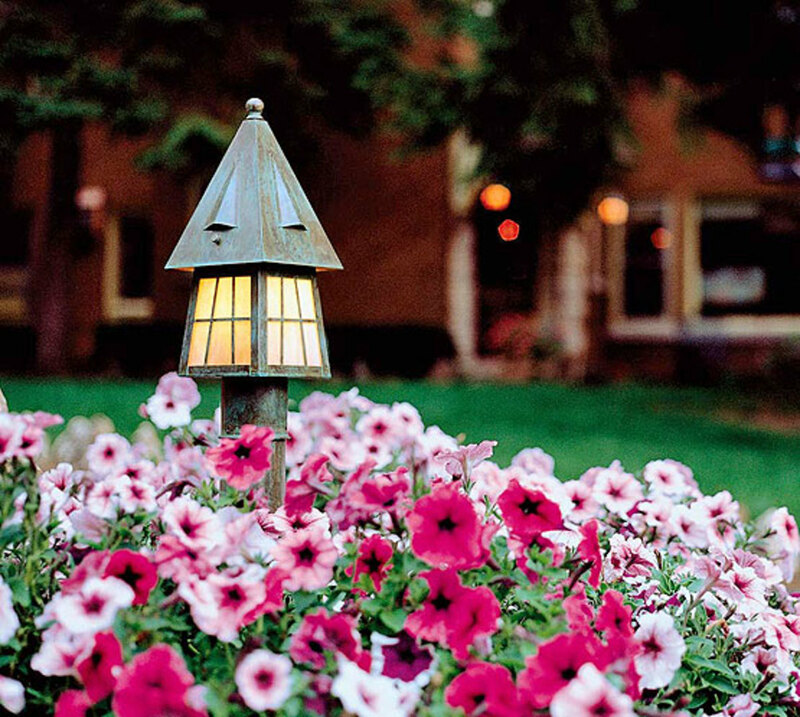 Exterior lamps can light the way, or illuminate a bed of petunias; this is Brass Light Gallery’s European Country Lantern. 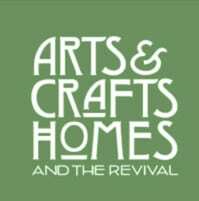 New designs for Arts & Crafts garages. 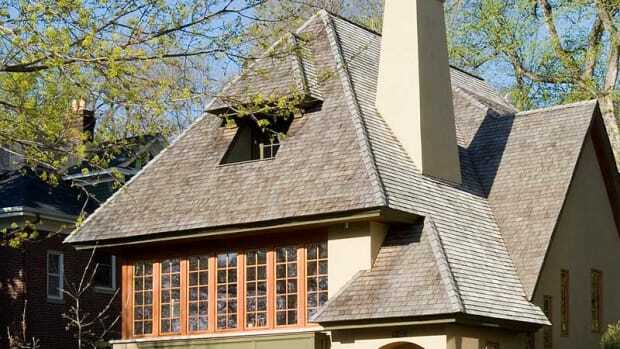 Shingles were laid to create patterns: subtle decoration for Arts & Crafts houses.